However it can happen that, if you turn on the screen-keyboard a few times on the login screen, it will stick to the desktop and open up every time you log in (be it a bug or adapted behavior). This is annoying if you just unplugged your keyboard to test stuff. Click OK to save the settings and you're done! FANTASTIC ! Thank you this has been bugging me for a week. Problem solved. Thank you so much! But the on screen keyboard is still there whenever I on my laptop. This article is very helpful,it work for me. This one way another better is to press CTRL+ALT+DELETE and in left corner you will see easy of access then uncheck screen keyboard, apply changes and that’s all folks !! I think this is better and easy way. The box wasn’t checkmarked. I also suspect that because it comes on everytime it’s booted, it won’t allow the wireless keyboard to work. 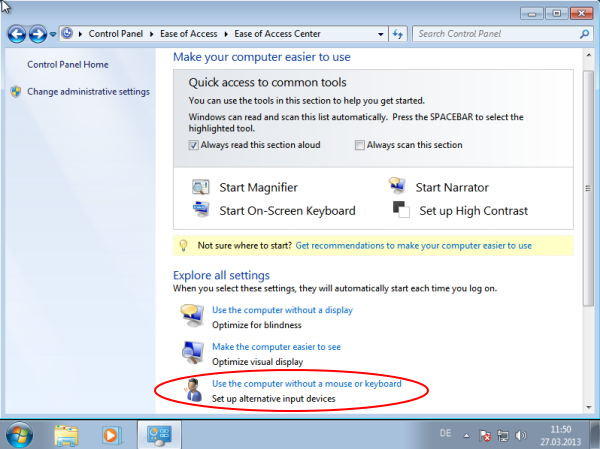 I have already gone into configsys and removed it from the boot up menu but still can’t get the keyboard to work. I’ve tested it on a sceond profile on the computer so it’s not the keyboard. 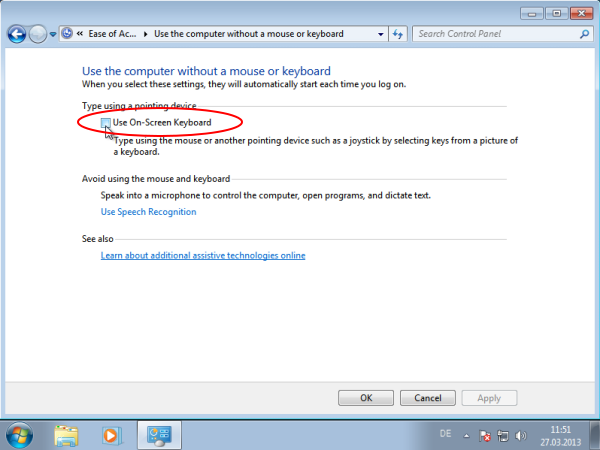 I have tried as per instructions to disable the onscreen keyboard, but could not succeed. The problem still persists. Please advise some other solution to solve the problem. Didn’t work for me. The “Use on-screen keyboard” boxed is already unchecked. Nonetheless the onscreen keyboard appears again and again in various places. Very annoying! I might need it if my keyboard broke down, but other than that I don’t want it popping up all the time. Any other suggestions? Just don’t let your PC go to sleep, and you’ll never see your Touch Keyboard again. But when you reboot the Touch keyboard stays disactivated. Sweet!